I’ll never forget my week at Space Camp 20 years ago. For 11-year-old me, this was like stepping into a mysterious, forbidden world. The stuff of movies and comic books. I manned a post at mission control, experienced near-weightlessness and examined pieces of the International Space Station’s American module. 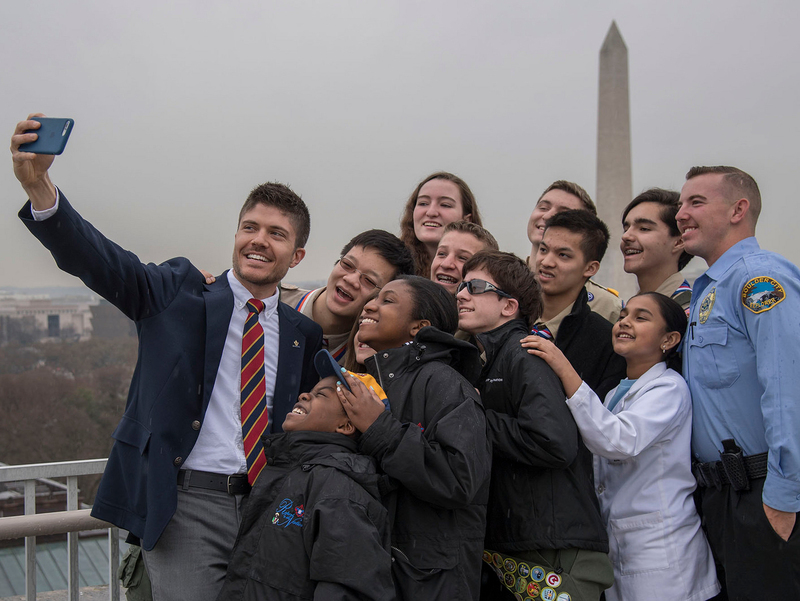 I returned with a new appreciation of science and technology, with plenty of stories to tell my parents and friends, and with the Space Exploration merit badge. Oh, and with the certificate I included at the bottom of this post. Fast-forward to 2015. Twenty years later, Space Camp is better than ever. Just like Scouting, it’s helping prepare the leaders of tomorrow. What’s changed at Space Camp since I was there? Just like Boy Scouts, where there’s a new Robotics merit badge, Space Camp now has a robotics program where trainees actually build and test their own robots. That piece of the International Space Station? It’s now orbiting 250 miles above Earth. And the overall focus has shifted from space shuttle missions to future lunar and Mars missions. But one thing will never change: Space Camp offers an unforgettable week for your Scout-age children. A week that could spark a lifelong passion in an important field that’s actually hiring. Space Camp is just one of three programs at the U.S. Space and Rocket Center in Huntsville, Ala. Trainees pursue science, technology, engineering and math disciplines through exciting, hands-on activities. For parents, part of the appeal is that their sons and daughters get exposure to important fields that will affect this country, the economy, the environment and more. More money than ever is being spent in the aviation, aerospace and defense industries — industries where there are plenty of jobs but not enough talent. For many young people, the spark for those careers ignited at Space Camp. Like Lt. Col. William Burke Hare III, an Eagle Scout and Space Camp attendee who commands Intercontinental Ballistic Missile weapon systems. Or Kate Rubins, a Space Camp graduate who will head to the International Space Station next year. Who knows? The commander of a manned mission to Mars could be a Space Camp graduate. Send a Scout in your pack, troop, team or crew to Space Camp, and watch them soar.